What’s the difference between a mouse and rat? The easiest way to distinguish a rat and a mouse apart is by their size. 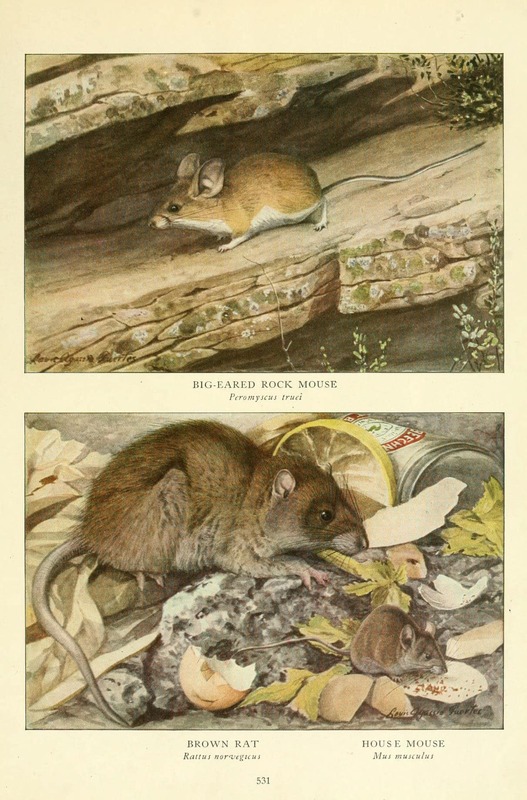 For example, one of the most common rats, the Brown Rat (Rattus norvegicus), also called Norway Rat, Sewer Rat and other names, weighs up to 12 ounces (350 g), while an adult House Mouse weighs only an ounce (28 g) or so. Mice have more delicate features and a more pointed snout. Their tail is thinner than a rat’s, which is thick and very noticeable. There are chromosomal differences, too, so they can’t interbreed although they probably had a common ancestor. They aren’t “friends.” In fact, rats will kill and eat mice. “Field Mouse” is a term used for several different mouse-like rodents, and not for an outdoor version of the House Mouse. In the U.S., it usually refers to the Meadow Vole (Microtus pennsylvanicus), which is larger than a House Mouse and has short legs, small ears, and a short tail. Coloration ranges from silver-gray to dark-brown. 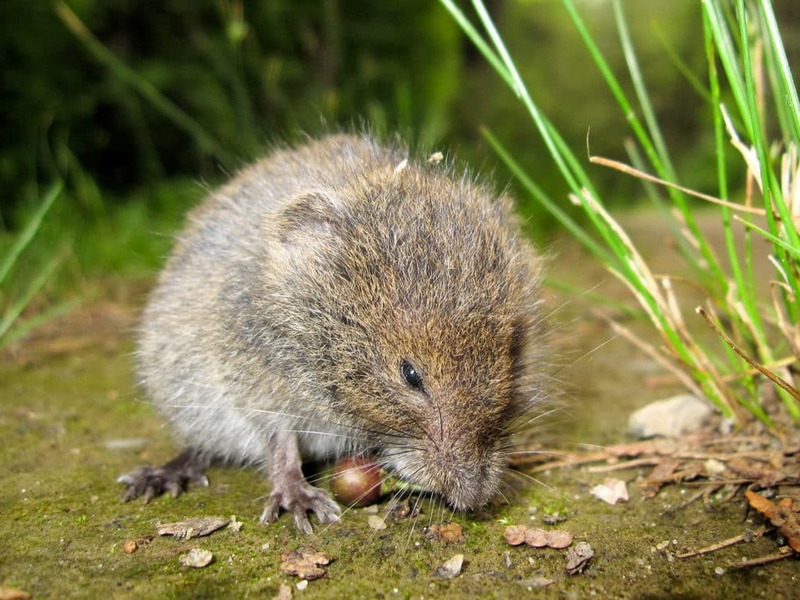 Voles belong to a different scientific family than mice. Deer Mice are connected to hantaviruses, but the House Mouse is not. 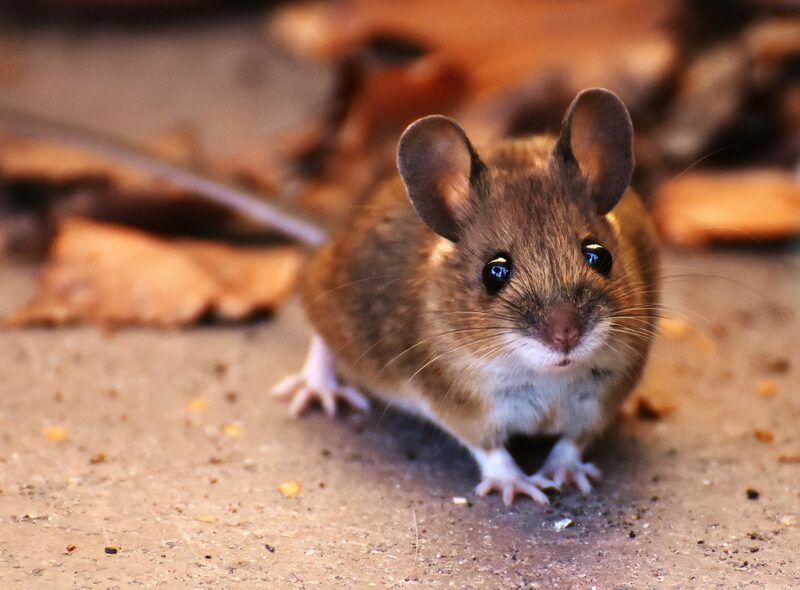 A study reported in New Scientist Magazine¹ shows that the greater the mammal diversity in your yard, the less chance that Deer Mice will be infected with hantaviruses. House Mice are associated with some other diseases, such as typhus or salmonella. Your chance of contracting diseases from any species of wild mouse is low unless you put yourself at risk by handling them or inhaling their dried droppings. Have you trapped a wild mouse and want to keep it? They don’t make good pets. They’re nervous and skittish, can’t be easily tamed, don’t want to be handled, and getting away is always on their mind. There’ll be no pleasure in it for you, nor especially the mouse. The best thing to do is release the mouse early in the morning, after feeding it some breakfast. Turn it loose into protective cover, such as tall grasses, a brush pile or undergrowth. If it was caught in your house, release it several blocks away (mice can be amazing at finding their way back home.) Thoroughly clean your hands and any areas the mouse has touched. Mice are vermin … aren’t they? Well, our web name pretty much says it all — we’re all about wild-life, not wild-death. 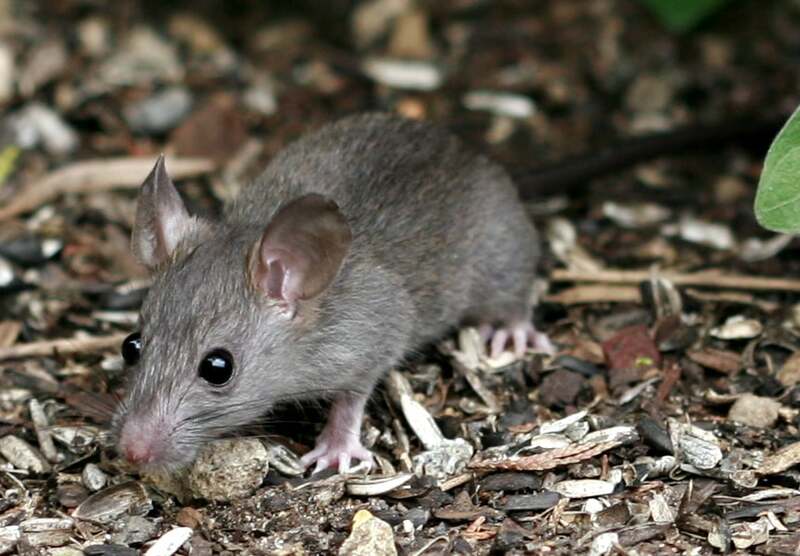 It’s our position that mice play an essential role in a backyard wildlife habitat, indeed nearly anywhere in the world, and should be left alone. Of course, we don’t want them in our homes, and when that happens they can be caught humanely and released outdoors. Outdoors, there are non-lethal, common-sense ways to control rodent populations, such as eliminating potential nesting places and easy sources of food for them. A wildlife-friendly yard plays host to many predator animals that feed on mice, which helps to keep their population under control. You can also try putting peanuts in the bottom of a deep bucket. Set the bucket on the trail and place a couple of boxes next to it to serve as steps to the top. Once in the bucket, if it’s deep enough, the mice can’t get out. Release the mice at least one mile from your house, or they’ll find their way back (no kidding), and the second time around they’ll be smarter and harder to catch. Release them early in the morning so they’ll have a chance to get the lay of the land and build a nest before nightfall. Release them into tall grasses, a brush pile, undergrowth or other conditions that will help shield them from birds of prey that search for mice from above.